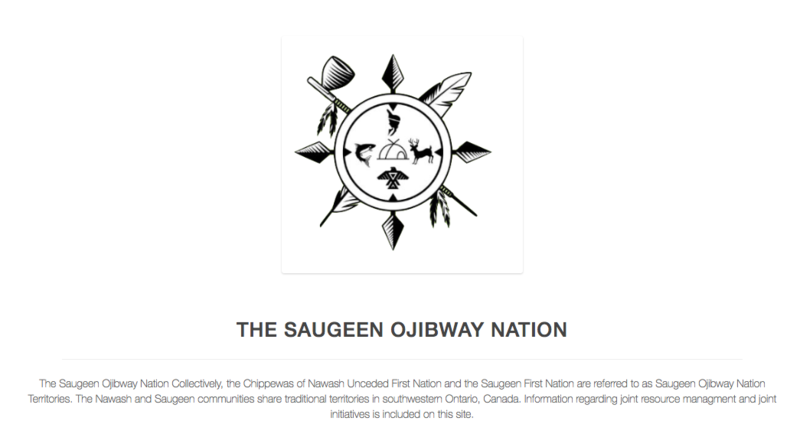 To Provide the infrastructure and expertise for environmental matters that affect the interests of the Saugeen Ojibway Nations and, in doing so, assist the Chiefs and Councils of the Saugeen Ojibway Nations to assert First Nation jurisdiction over the environment of the traditional territories. 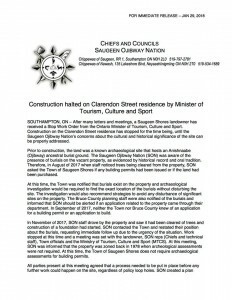 Construction halted on Clarendon Street residence by Minister of Tourism, Culture and Sport. 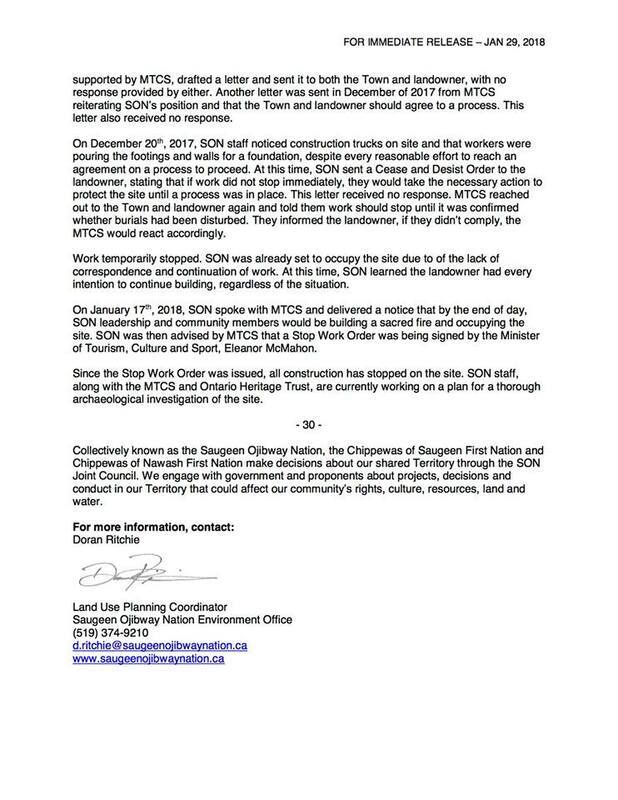 After many letters and meetings, a Saugeen Shores landowner has received a Stop Work Order from the Ontario Minister of Tourism, Culture and Sport. 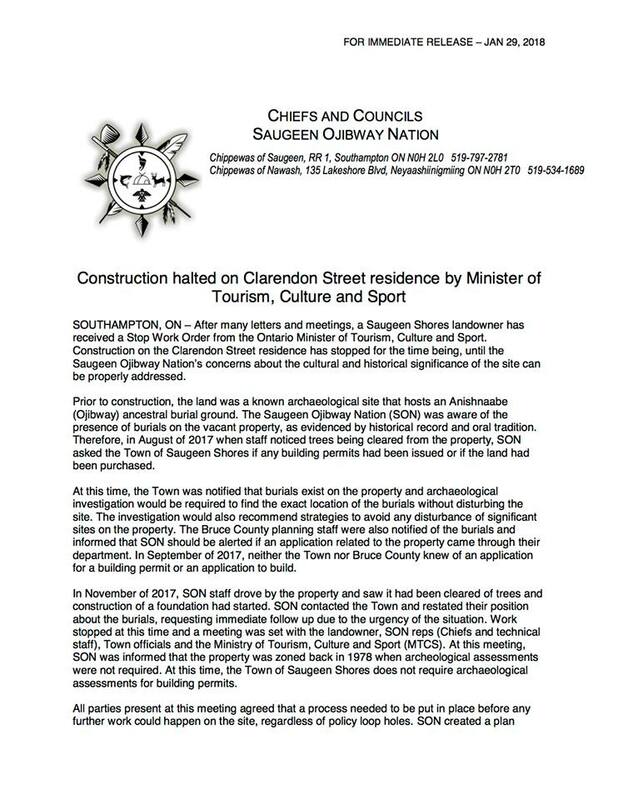 Construction on the Clarendon Street residence has stopped for the time being, until the Saugeen Ojibway Nation’s concerns about the cultural and historical significance of the site can be properly addressed... CLICK on the letter below for more information.